Accurately and easily control the temperature in multiple zones of a VAV (Variable Air Volume) system with these thermostats. VAV systems vary the amount of air distribution in a space to maintain a constant temperature, as opposed to a CAV (Constant Air Volume) system, which provides a consistent air flow at varying temperatures. 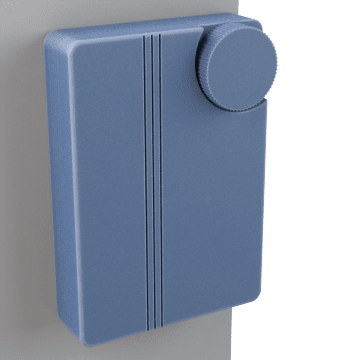 By installing a thermostat in each zone that the VAV system regulates, users can control the amount of air that is delivered to a particular space to maintain the desired temperature.